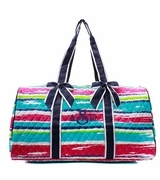 Medallion pattern quilted duffle bag. Travel in style with this fabulous bag. Ditch those old and boring dufflels and replace them with this sophisticated look. The design is a wonderful circle medallion in shades of gold, pale taupe and white. The plush quilted background adds texture and depth. The bag features two black detachable bows with matching trim to finish off the look. Our duffel bag is large and spacious with a zipper opening along the top. Pair this with a jet black little number or with blue jeans for a more casual look. 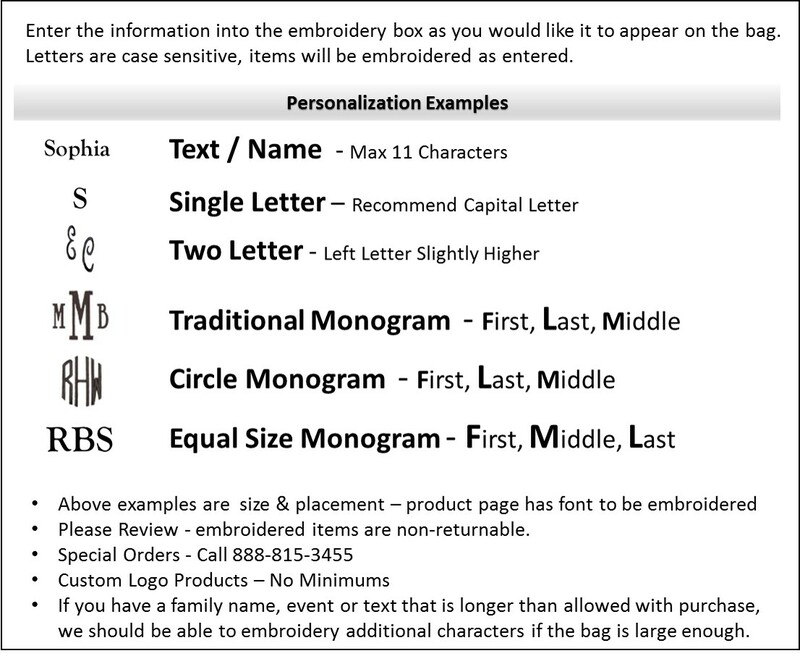 Add your monogram onto the bag for a truly personalized accessory. The circle medallion duffel bag measures 21"W x 11"H x 10" across the bottom. Lined, with an interior wall pocket and exterior zip pocket. Zipper closure.